You are quite right, as usual. True, we have gone over a great deal of the ground in various learned disquisitions of Gods, Angels, Elves, et hoc genus omne. But God with a capital “G” in the singular is a totally different pair of Blüchers—nicht wahr? Let me go back just for a moment to the meaning of “belief.” We agreed that the word was senseless except as it implies an opinion, instinct, conviction—what you please!—so firmly entrenched in our natures that we act automatically as if it were “true” and “certain without error,” perhaps even “of the essence of truth.”1) (Browning discusses this in Mr. Sludge the Medium.) Good: the field is clear for an enquiry into this word God. We find ourselves in trouble from the start. He must be omniscient (Mercury) omnipotent, (Sulphur) and omnipresent (Salt);2) yet to such a Being no purpose would be possible; so that all the apologies for the existence of “evil” crash. If there be opposites of any kind, there can be no consistency. He cannot be Two; He must be One; yet, as is obvious, he isn't. How do the Hindu philosophers try to get out of this quag? “Evil” is “illusion;” has no “real” existence. Then what is the point of it? They say “Not that, not that!” denying to him all attributes; He is “that which is without quantity or quality.” They contradict themselves at every turn; seeking to remove limit, they remove definition. Their only refuge is in “superconsciousness.” Splendid! but now “belief” has disappeared altogether; for the word has no sense unless it is subject to the laws of normal thought… Tut! you must be feeling it yourself; the further one goes, the darker the path. All I have written is somehow muddled and obscure, maugre my frenzied struggle for lucidity, simplicity . . . .
She went on without a word from me for a long while, tying herself up into fresh knots with every phase. She became irreverent, then downright blasphemous; stopped short and began to laugh at herself. And so forth—but, what struck me as curious and significant, in the main her argument followed quite closely the lines which came naturally to me, at the beginning of this letter! In the end, “curiouser and curiouser,” she arrived at a practically identical conclusion: she believed, but what she believed in was Nothing! As to our old criterion of what we imply in practice when we say that we believe, she began by saying that if we “helped” God in His mysterious plan, He would in some fashion or other look after us. But about this she was even more vague than in the matter of intellectual conviction; “helping God” meant behaving decently according to one's own instinctive ideas of what “decently” means. It is very encouraging that she should have seen, without any prompting on my part, to what a muddle the question necessarily led; and very nice for me, because it lets me out, cara soror! P.S. I thought it a good plan to put my fundamental position all by itself in a postscript; to frame it. My observation of the Universe convinces me that there are beings of intelligence and power of a far higher quality than anything we can conceive of as human; that they are not necessarily based on the cerebral and nervous structures that we know; and that the one and only chance for mankind to advance as a whole is for individuals to make contact with such Beings. 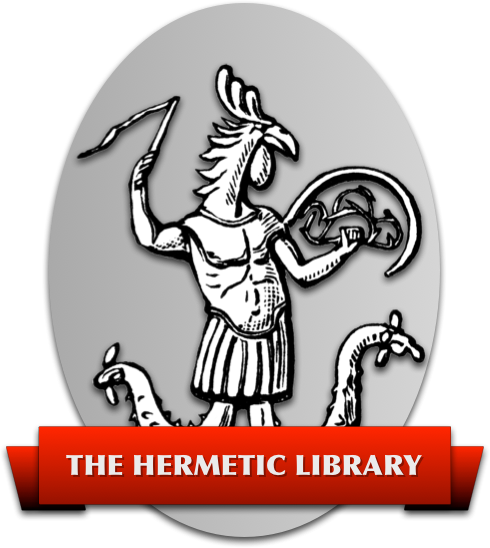 Crowley is alluding to the preamble to the “Emerald Tablet of Hermes” which is more usually translated along the lines of: “True, without error (or “falsehood”), certain and most true.” – T.S. The original had the symbols for alchemical mercury, sulphur and salt.